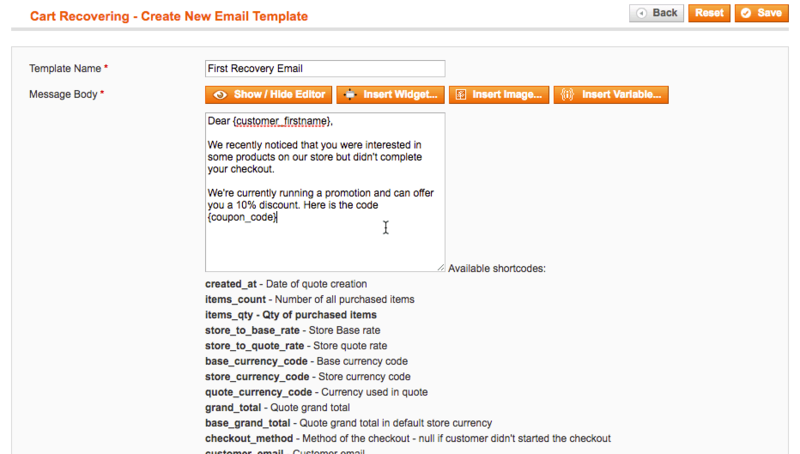 The Abandoned Cart Recovery extension allows you to build a Magento® cart recovery strategy with email reminders and optional coupons. 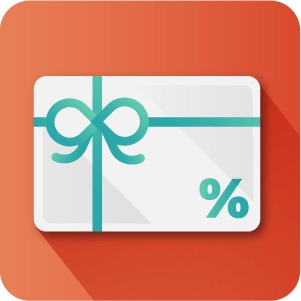 This recovers sales from registered users and guest accounts in one-click. 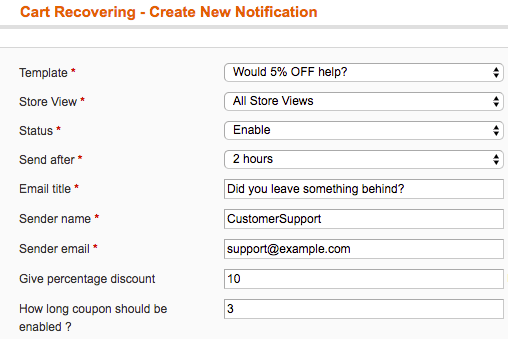 Admin can track cart recoveries from the admin panel, create custom email notification templates, and schedule alerts with different discount percentages. 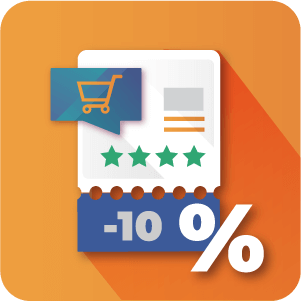 The Magento® Abandoned Cart Recovery Extension by CreativeMinds helps you recover abandoned shopping carts by sending the shopper an abandoned cart email containing a link to the customer’s shopping cart and an optional Magento® coupon code giving users an incentive to complete their purchase. 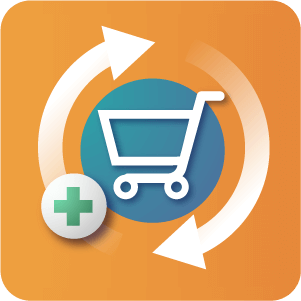 Recovering abandoned carts is made easy for shoppers with one-click recovery. 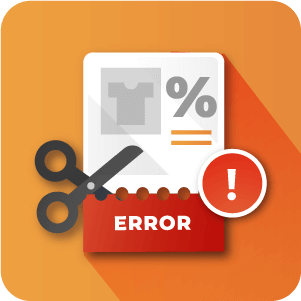 Abandoned cart recovery emails are automated, making it easy for your e-commerce store to send custom cart reminders and recover sales. Admin can also monitor their cart recovery strategy with reporting features. Abandoned cart reporting tracks how many cart recovery emails resulted in a sale and when emails were sent. After just minutes from setting up the abandoned cart extension, it will automatically send the abandoned cart emails according to settings defined by the admin. The abandoned cart extension allows admin to customize a cart recovery strategy. All abandoned cart email alerts, including follow-up alerts, will be sent with predefined delays set by the site admin, who can also define the number of follow-up alerts with a different delay time for each. User Session – Once users click on the link sent to them the cart will be recovered and they will be redirected to the shopping cart page. 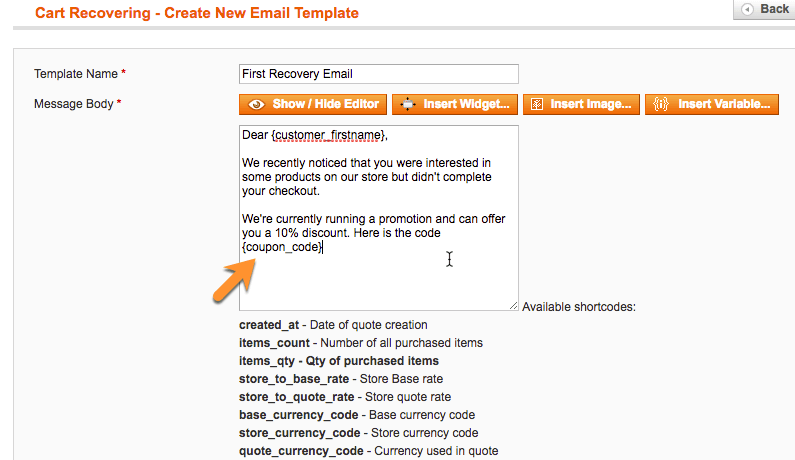 You can use any of the existing shortcode parameters inside the abandoned cart email templates sent to the customer during cart recovery proccess. Can the extension send multiple abandoned cart emails to the same user? Yes. You can schedule a series of as many email reminders as you need over whatever period of time you choose. 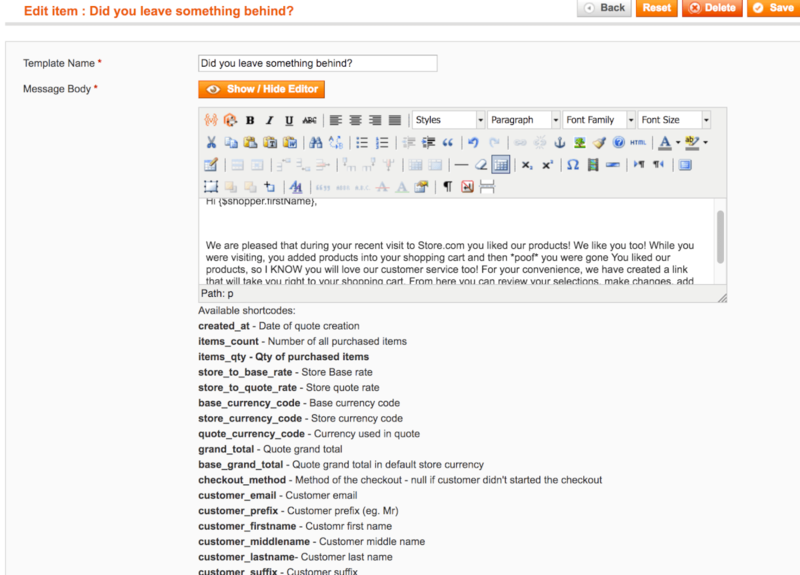 Is the Admin alerted if the customer has completed the checkout from the reminder email? Yes. The administrator will be notified of checkouts from reminder emails in the admin panel of the website. Go to ‘Sales Recovery’ –> ‘Sent Notifications’. How many incentives can be applied to the same abandoned cart? Only one. We are wary of creating an extension that might be used for spamming customers. 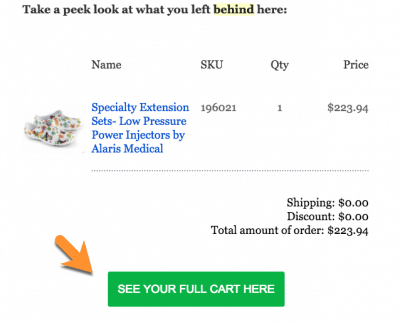 The abandoned cart email can contain a shortcode that will generate a coupon code for the customer if they return to their cart to complete the checkout. Can the admin customize the email reminder for the abandoned cart? Yes. The email reminder that is sent to the customer is totally customizable. Can customers recover their carts without logging in? Yes. 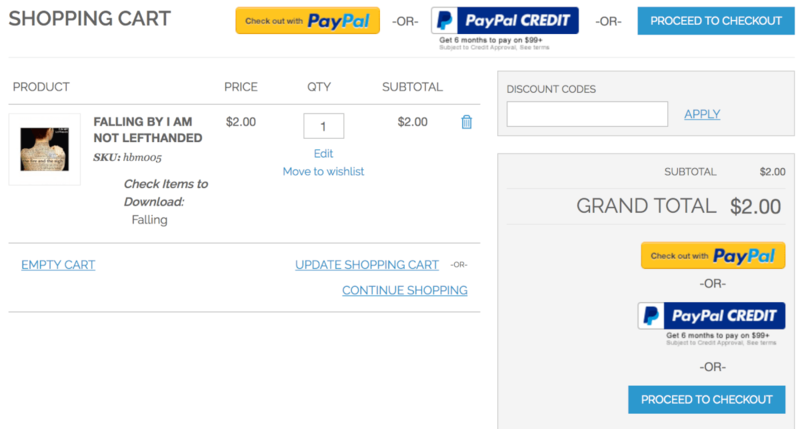 Customers can recover their carts by simply following the link provided in the reminder email. How does the extension recognize a customer's Email address if they haven't completed their purchase? Email addresses are normally provided by the customer during the checkout process. Alternatively, if the customer was logged in to an existing account during their visit, their email is saved automatically. How will I know if an abandoned cart has been recovered? 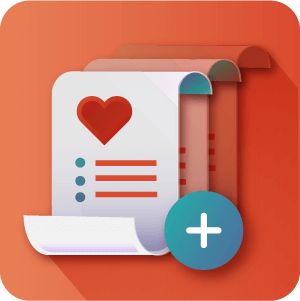 The extension come with a built in tracking tool that lets you know exactly which carts have been abandoned, how many alerts have been sent, date of recovery and what coupons have been offered to the customer. This information is displayed in a list and can be filtered with a number of parameters. Fixed the collection filter to send mails only for abandoned carts (attribute is_active = 1), before mails was sent for all carts.